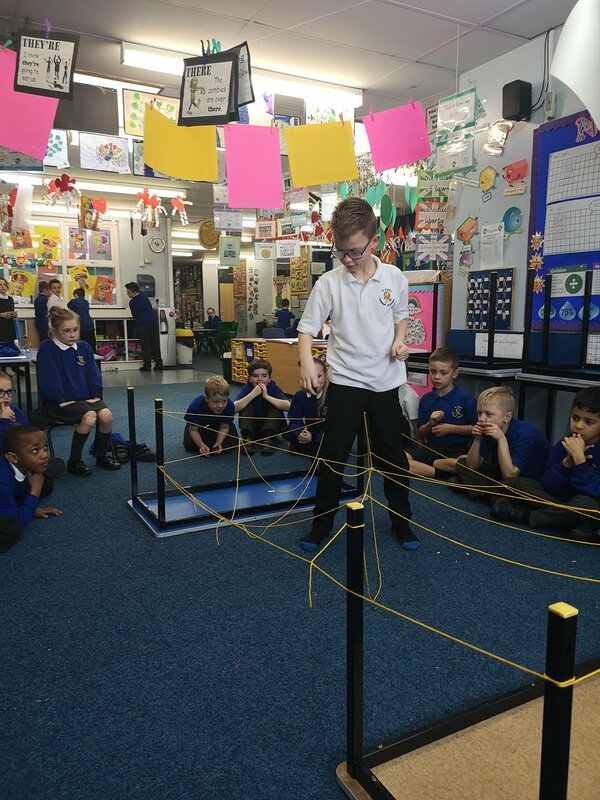 This afternoon 4JB were set a near impossible challenge…. They had to make it from one side of the laser beam maze to the other. Mrs. Barber only set one rule…you cannot touch the laser beam. The first few volunteers proved that this was a lot harder than it looked and there were many possible routes that the children could take. Some children tried going over, some tried going under and some tried both. Each time someone tried, the rest of us watched carefully and analysed the mistakes. As we went on, more and more children came closer to reaching the other side. Finally- James managed to cross the laser beam without touching it. 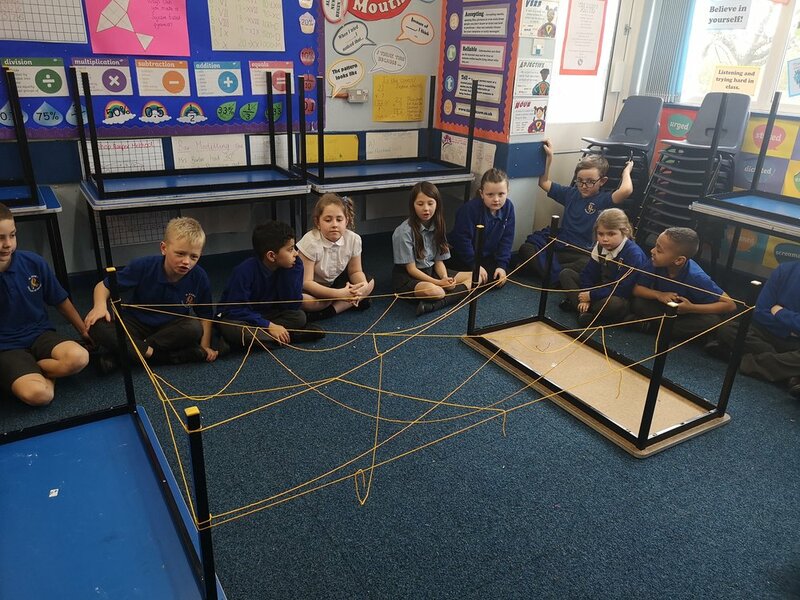 After this, we used our ‘growth mindset’ to try and again and make improvements. 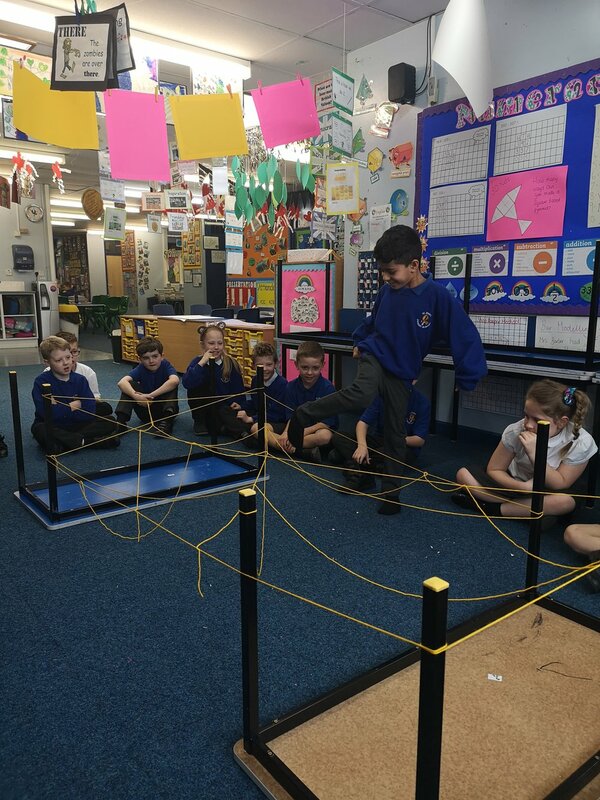 The second time round, many more of the children managed to get across the laser without making a mistake. There was lots of excitement and we really enjoyed ourselves! Well done 4JB!